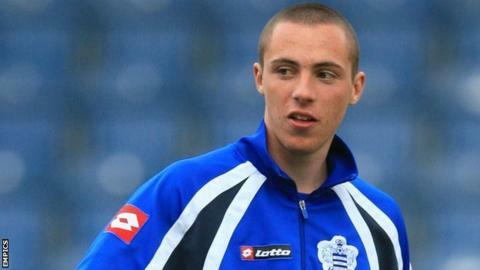 Wycombe have extended the loan of Queens Park Rangers defender Michael Harriman until the end of the season. The 20-year-old, who joined for an initial month on New Year's Day, has started Wycombe's last three games. "I'm very happy to be staying for the extra few months," Harriman told the club's official website. "I'm playing regularly and really enjoying it. Playing for Gareth Ainsworth is great and the lads have been really welcoming." Harriman has also been placed on standby for the Republic of Ireland Under-21 squad to face the Netherlands in a friendly on 6 February.